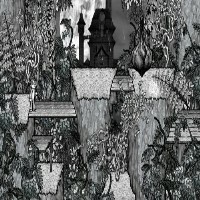 Umbrella Adventures: The Castle of Cake – 100% hand drawn adventure game: "If you are the type of gamer that thinks that game art is equally important as the game itself, then you would definitely enjoy Umbrella Adventures. The graphics is '100% handrawn' in a stylized black and white form. In the game, you travel all across the forest in search of the mystery behind the theft of more than 100 cakes. It's a game that provides not only a solid gameplay, but rich graphics and a cool soundtrack. Umbrella Adventures is an exciting platformer game that features funny dialogue and intriguing puzzles to keep you on your toes. Of course, it's main selling point is that the game is purely hand drawn and definitely doesn't fail to impress any gamer."